It’s almost impossible to go wrong with a gift for new parents. They need literally everything and can’t have too many toys, pacifiers, drool bibs, and baby clothes. On the one hand, it’s your advantage – you can pick anything, and the new mom and dad will definitely use it. On the other hand, such a wide choice of various products makes the gift hunter feel like a kid in a candy store. Moreover, though all the goods for babies are necessary, some of them are more appreciated. That’s why we selected the top presents the new parents will be really impressed by. Don’t think that these mats are only the adorable things that new mothers and fathers will ooh over. They are also functional – they not only provide a few quiet hours for parents but also help a baby enjoy the tummy time (that’s extremely important for his or her development) most of the newborns absolutely hate. The cute decorative elements attract the attention of the baby and make the time pass faster. Another big advantage of such mats is that they can be used for years. Moreover, parents confess that sometimes they also use these fantastic items as the pillows. Well, why not? What do the new parents need the most? Maybe they want more toys or another blanket? No, all they need is sound, long sleep. Of course, they know that now it is a pipe dream, but they still seek for something that will at least alleviate their suffering. 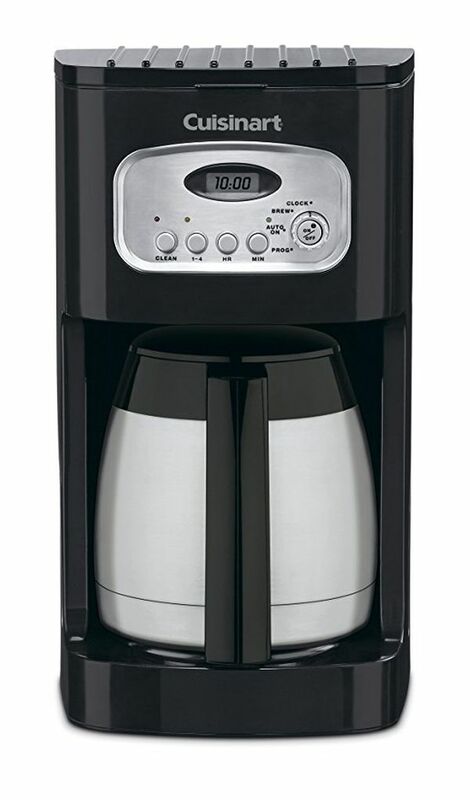 Humanity hasn’t found anything better than coffee, but the new moms and dads can hardly find an extra minute to brew their tenth cup. Do them a favor and give a nice thermal coffee maker. You can be sure that they will think well of your plenty of times a day. If the couple hasn’t bought the infant car seat yet, you should definitely consider this gift idea. You can hardly find something this necessary and practical. When choosing the product, turn your attention to the features, not only to the price. 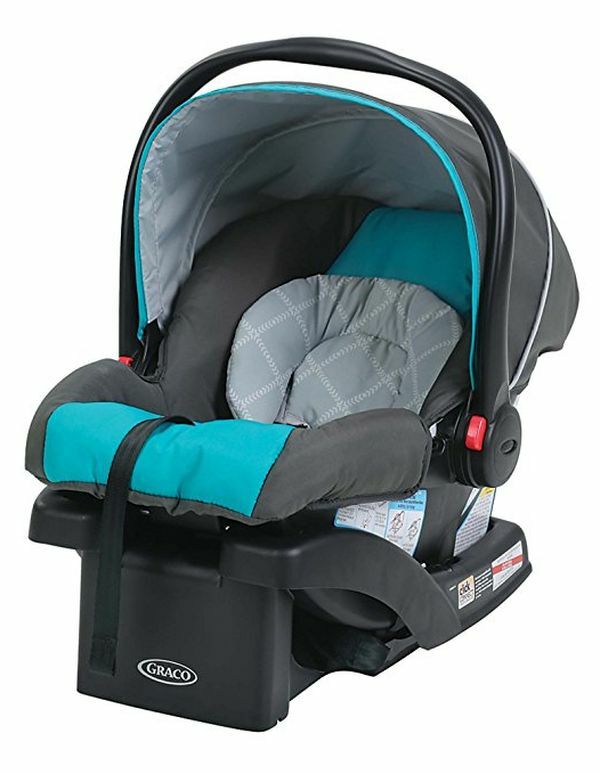 There are a lot of inexpensive models that have all characteristics the new parents need: they are lightweight, completely secure, compact, and comfortable for a baby. Don’t miss a chance to get an absolutely useful gift that will be really appreciated! Mother’s love is something indescribable, something that gives us strength and inspiration, makes us feel that the most significant person in life is always here for you, whatever the circumstances are. These wonderful letters invite parents to capture all their feelings about the most complicated and at the same time the happiest first years. 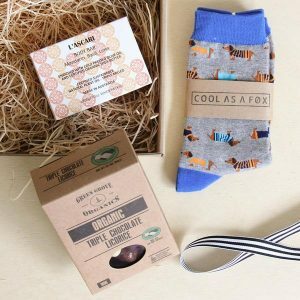 By getting this unique gift, you provide the couple with an opportunity to save these keepsakes and then give them to a grown-up kid making the greatest present in the world. 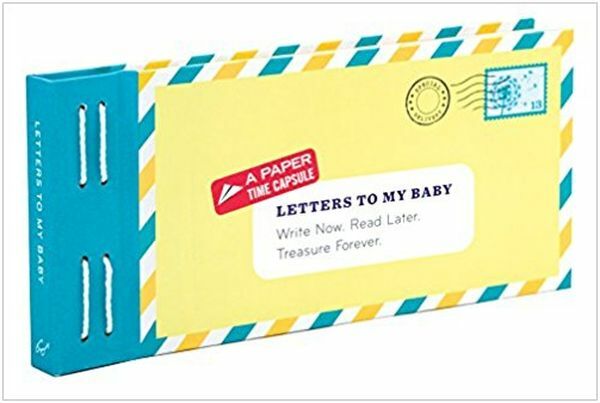 Letters to My Baby: Write Now. Read Later. Treasure. Forever. New moms and dads don’t have to keep the most important moments of the first years of parenthood separately – there is a chance that some of them will be missed. To avoid this, they need a nice memory book that captures the wonderful memories in the most beautiful way. Adorable illustrations and clear instructions make journaling easy, so no additional stress for parents. If you want your gift to be treasured forever, you won’t find a better option! The upbringing of a child is probably the most complicated and the most significant goal in life. There is nothing more serious than parenthood; however, sometimes new parents need to relax and have some fun. 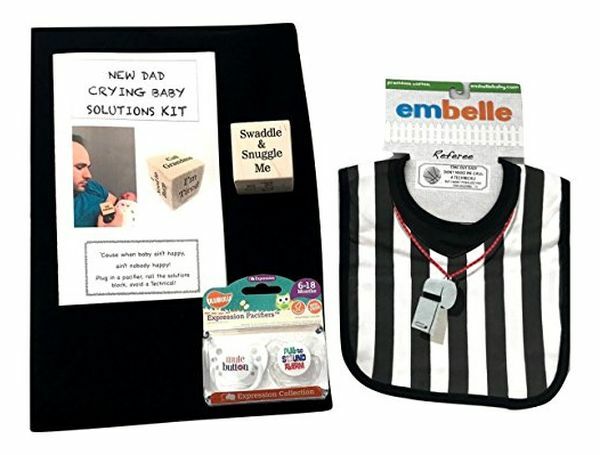 It should be also noticed that stepping into fatherhood is often tough for men, so if you have the strength to encourage him a little bit, choose something that will make him smile, for instance, one of these awesome survival kits that include cool stuff and hilarious instructions for new fathers. We all love the stuff that combines several functions because it’s a lot easier to use one thing instead of two. When it comes to parenthood, such a feature becomes priceless as you need to count every second. Pacifier thermometers make caring of a baby a lot easier – the very idea of combining these two things in one is awesome! 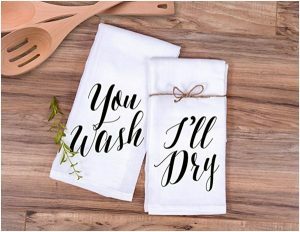 So if you’re looking for a great small Christmas gift that will be a hit at the party, look no further, you’ve already found it! 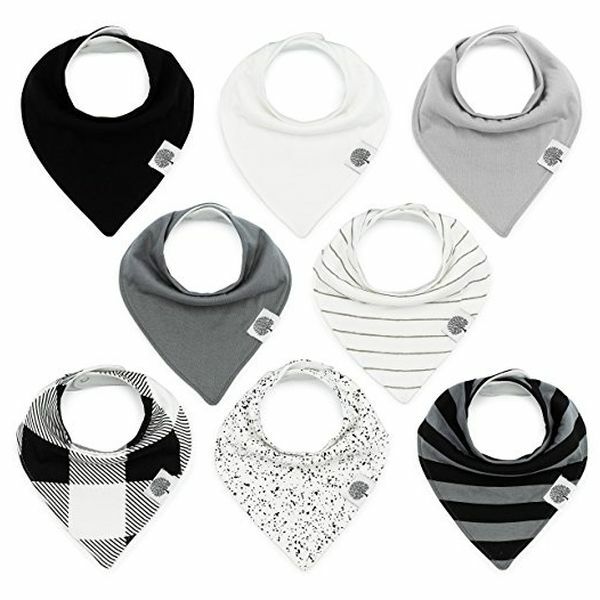 Do the new parents have a drool bibs set already? Well, they need more. Do they have a few sets? They still need more. 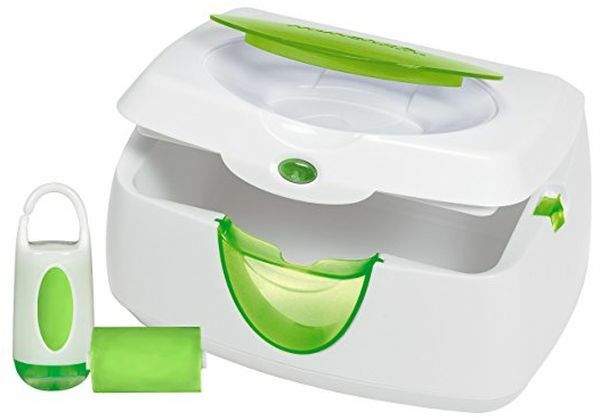 These products make the life of a baby, and just as importantly, the life of parents simpler. Constant drooling is a normal process, but it becomes a problem when you don’t have anything that can help you. These sets include 3+ bibs and that provides moms and dad with the time they need to wash and change them. Made of the natural, 100% organic materials, they will provide the ultimate comfort and make a baby look even more beautiful. Technical progress doesn’t stand still, and now we have the opportunities we couldn’t even imagine a few decades ago. Particularly, we can take photos everywhere and whenever we want using various gadgets. This is good news for parents and today’s babies and kids who’ll be able to watch themselves growing up and enjoy these memories. 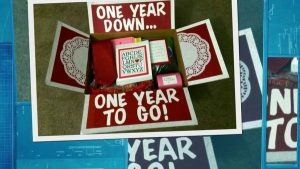 However, there is something that can make these milestones even more adorable. 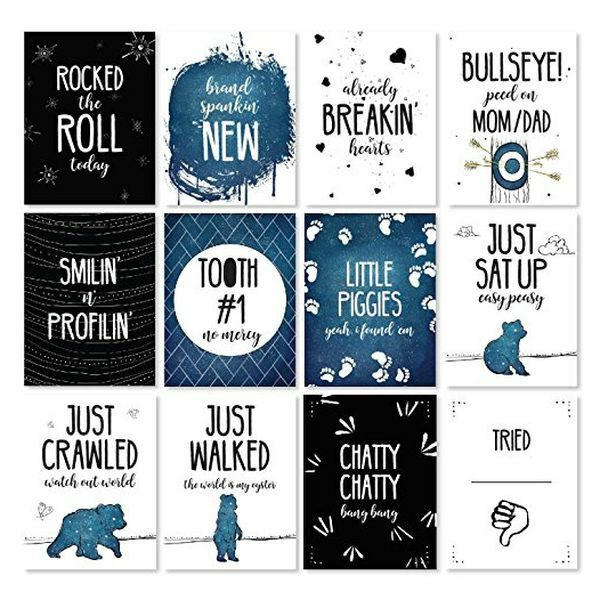 If you want to get new parents something touching and memorable, consider the baby cards – they are really easy to incorporate into a photo that becomes absolutely cute due to these awesome pictures. The early development of a baby is also the parents’ responsibility. There are various exercises and programs that help a newborn open the new horizons and develop the basic social and physical skills. Moreover, there are a lot of toys that make the process of education fun and easy for a baby and moms and dads who can relax for a while looking at their child exploring the world. That’s why developmental toys make the great gift for the first time parents – they provide a fun time for a newborn and a few hours of quiet for parents! Couples that just had a baby need wipes literally all the time. It wouldn’t be a problem if they needed the regular ones, but they’re supposed to be warm for a baby to feel comfortable. That’s why a baby wipe warmers is a must-have for anyone who cares of a newborn. 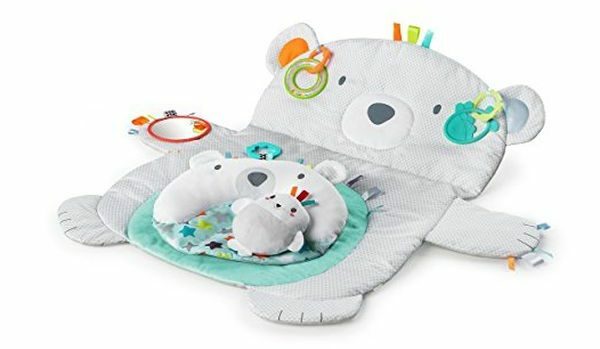 The wide choice of these functional and stylish-looking products allows you to choose the awesome practical gift without any effort; moreover, they are not as pricey as the infant car seats but still look pretty big. If you have a child, you definitely remember how exhausting the first years are. If you have never faced this before, believe the experience of millions of people – they know what they’re talking about. 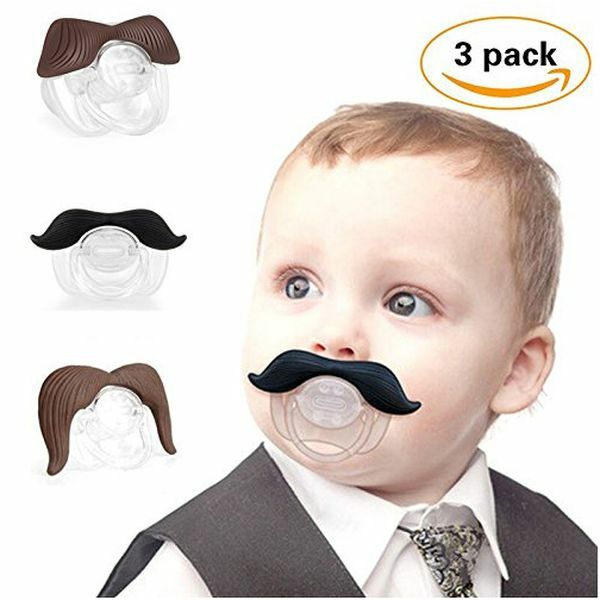 There are a few things that can help cope with all the problems, and they are patience, love, support, coffee, coffee, coffee, and mustache pacifiers. Smiles and laugh give us the strength, and that’s exactly what new parents need. 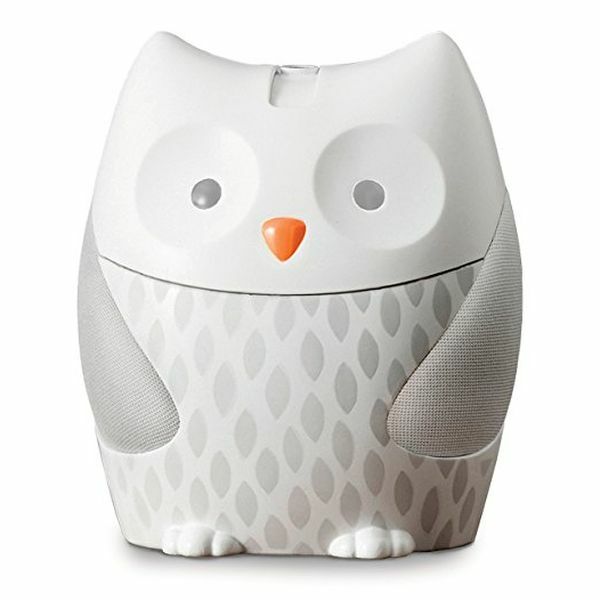 Sound machines are the win-win idea for those who’re looking for the gift that the parents really need. They perform their main function perfectly, and most of them look cute, so they’ll become the wonderful pieces of decoration too. What else is needed? The most important is that they save parents some sleep. The selection of the goods produced by different companies is very wide, so you’ll find a nice model within your price range with any difficulties. Pieces of decoration are the great housewarming gifts that fully conform to the idea of a welcome home occasion. 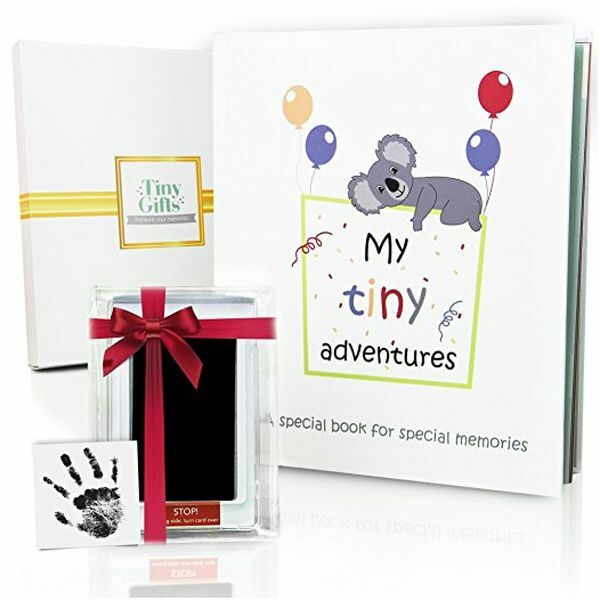 However, a candle or wall arts aren’t related to the most significant event in their lives, while the baby keepsake kits are. 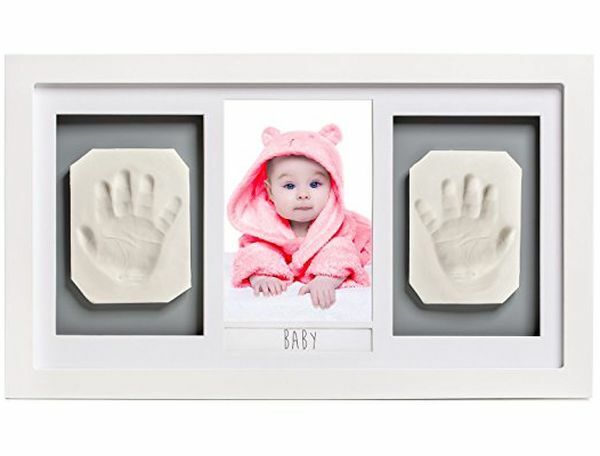 Having a kit like that, mothers and fathers can save the priceless handprints and footprints and proudly hang it on the wall to enjoy the look of this wonderful piece day by day, for many years to come. This is a classic choice for those who don’t want to go wrong with such an important gift for such a remarkable occasion. 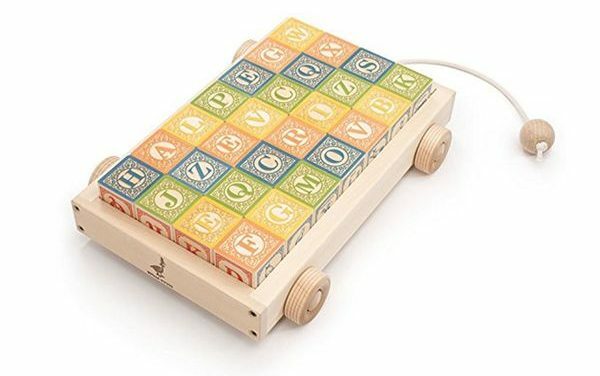 Couples expecting for a baby will be thrilled with a classy alphabet wagon blocks, especially if they are handcrafted and made in the USA. There is a wide selection of the sets with beautifully crafted letters, numbers, different symbols, and animals that will make the process of learning easy and fun!